Another Deanston whisky review but this time it’s a limited edition cask strength Oloroso sherry whisky. Until now the widely available official releases have been ex-bourbon based, with special editions (such as Deanston Spanish Oak, wine casks and BYO) available at the distillery only, so it’s a good sign that Deanston embraces the sherry route for wider availability – we even got a few bottles of this in Israeli stores! Nose: The creamy note is apparent here, with sweet honey and butterscotch, but slowly the sherry influence sneaks onto the stage. There’s dried fruit, fresh berries and dates. It must have been some old sherry refill as the impact isn’t too strong after 20 years. Oh, there’s vanilla too so maybe some american oak too? Palate: The sherry is darker, stronger and somewhat vinegary (like old sherry) and earthy here, a touch of ginger, nutmeg, chocolate and dryness. Finish: Gentle medium finish, deep red apples, drying tannins, oak spices, berries and ginger. Thoughts: It’s good, pretty good. The sherry flavors are showing up really nicely here but they are not overpowering, letting the Deanston profile of cereals and spiciness to hold its place. 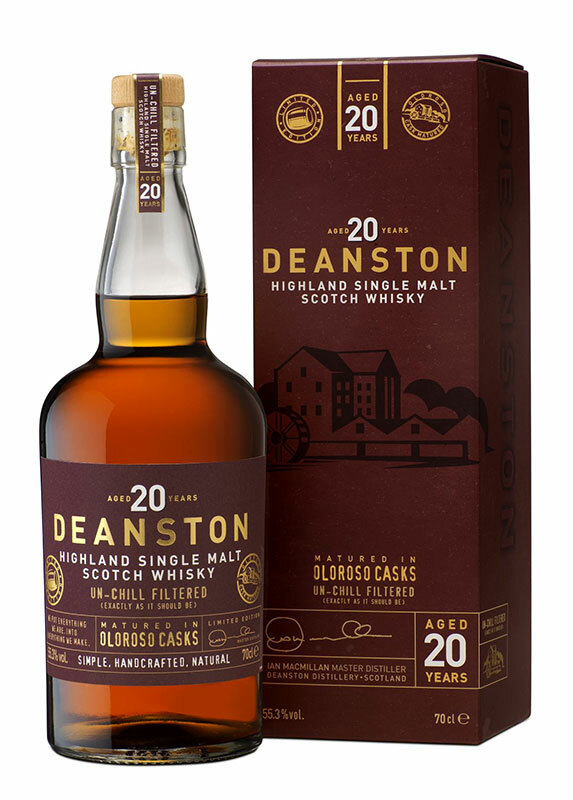 Good sherried non-sherry-bomb release by Deanston and let’s hope there will be more sherry releases in the future. This entry was posted in Whisky Reviews and tagged Deanston on March 16, 2016 by Yoav @ Whisky Gospel.